Uncork'd Entertainment is no stranger to ripping off whatever hot genre film is about to drop, banking on the public's desire to consume any and all media associated with the next big thing. With a name like Pet Graveyard, and a creepy (or adorable, depending on your sensibilities) cat on the poster, one would be within reason to expect a mock-buster with similarities to the shiny, newly remade adaptation of Stephen King's Pet Sematary. Surprisingly, the only correlation between the two films is in the name, and that's not necessarily a good thing. After a mildly confusing prologue that involves neither pets or cemeteries (you'll notice a running theme), the action starts with a brother-sister duo who, having just lost their mother, are struggling to pick up the pieces and move on with their lives. A viewer with prior knowledge of the source material could assume that it won't be long before our intrepid heroes are pillaging the grave of their dead mom and re-burying her in an ancient Indian burial ground that's gone sour, but alas, no. 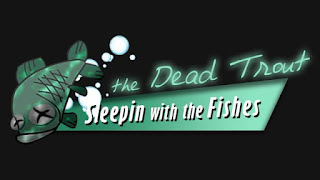 Instead, the group decides to try their hand at "brinking," which turns out to be temporary suicide to gain access to a purgatory world where the living can be reunited with the dead. So, instead of ripping off Pet Sematary, Pet Graveyard is actually a Flatliners rip in disguise. 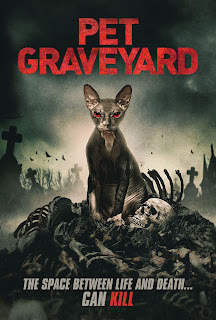 While occasionally, Uncork'd produces a so-bad-it's-good flick that is entertaining and fun to watch, Pet Graveyard is just plain bad. The plot is plodding and boring, the acting is wooden and forced with no emotion or depth, and the camerawork and lighting are both hampered by the budget, or lack thereof. The villain, Death himself, is not remotely scary. In fact, his costume looks like it was found on sale the day after Halloween. 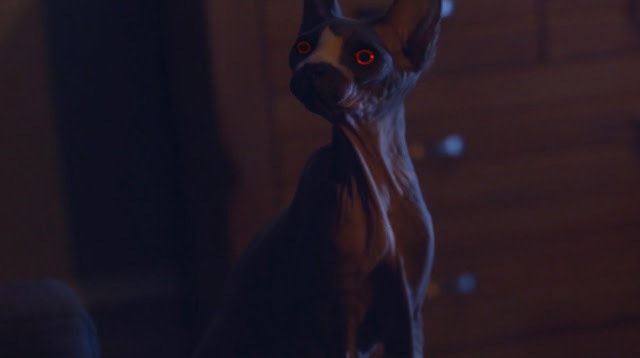 The woefully underused cat is the best part of the film, and if Sphynx cat shenanigans is what you're after, you'd be much better off just watching videos on YouTube or Facebook. It honestly seems like they wrote and created this film to be paired with the Flatliners remake and missed their window, so they went back and added a cat into a couple of insert scenes to try and re-purpose it to ride the publicity wave Pet Sematary's release has brought. There are undoubtedly worse films you could watch, but there is truly nothing worth spending your time on here. If the adorable cat can't save Pet Graveyard, nothing can.